I've discovered the joy of ebooks from the library! If you're in England, so can you. How? Simple. Obtain a pin number for your use on the library website. When you get online, put the address of the library site which is on your card into the topmost address bar. Sign in with your library card number and pin. There should be an option for ebooks - choose your books, download your books. All that is needed is an adobe account and if you are downloading to your PC/laptop, you need to download their application. It is self explanatory when you go through the library website. I have a kindle rather than a Sony e-reader so it doesn't read the file format e-PUB and that is why I am downloading library books onto my PC. When I have read, 'Blackberry for Dummies' , I will be able to do the same on my blackberry phone. Whatever country you are in - check to see if you can use this service from your library as it is well worth it! 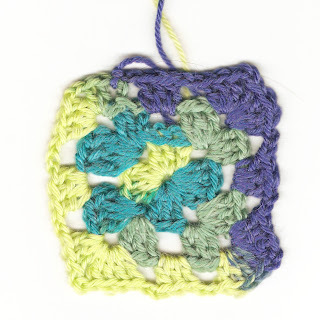 I've also had a fab weekend over at sister 'B' (for Brains - she wants to take over the world with her crochet empire), who has helped me greatly in the technique of crochet and I've managed to complete my very first granny square. It's 8.5 " x 8.5" and very colourful! All in an evenings work. I finished the granny square with a couple of rows along the edge of a double crochet. One possible use for this would be a book bag. Not sure yet so will keep it aside and have a think. 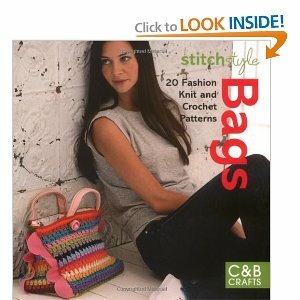 There's a fab little book with some wonderful knit and crochet bag designs that I recommend at least having a look at and that's 'Stitch Style Bags - 20 Fashion Knit and Crochet Patterns' by C&B Crafts. A book I obtained from the library (real not technical). Photo from Amazon. ISBN 978-1-84340-487-3. If I ever do get to make any of these bags then I will post! 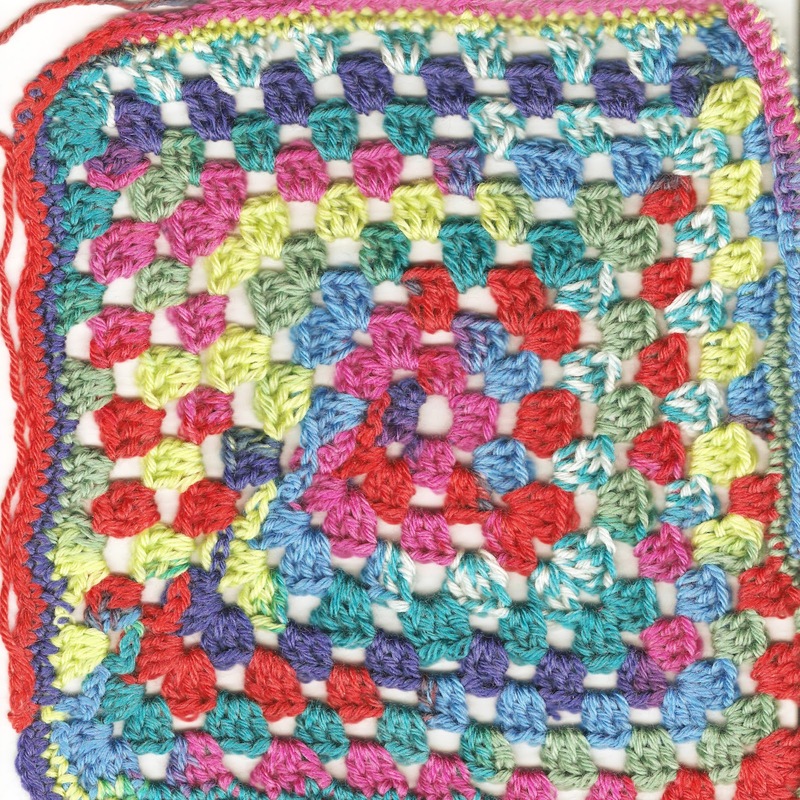 At the moment I am concentrating on how to read a pattern and with alot of practise I am sure I'll get there. Because of my sister's guidance and encouragement, she has whetted my appetite for more and a big thank you to her. I think it important to connect with someone who is into the same craft as you as it encourages, inspires and educates us in that craft. I may even join a 'Knit and Natter' group locally. They are cropping up everywhere so there may be one near you at your local library or hall. Now all I have to do is get up enough courage and confidence and join one. 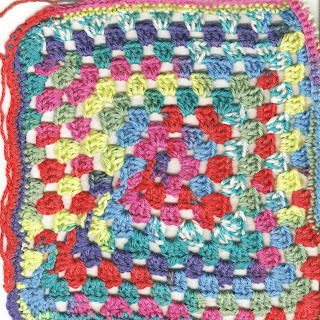 In the immediate/soon to be immediate future, I plan to make a crochet hook holder (silk sounds divine), create the 2nd armchair arm cover for my sister 'A' which stands for my ace twinny, collect yarn for a bag and for a granny cushion I have in mind. I better get to it!